Alphabet has been assigned the lease for the planned London headquarters of U.K. retailer, New Look Retail Group. The value fashion firm which is part-owned by Christo Wiese, a South African billionaire, had planned to take occupation of the building which is located in King’s Cross this year. Its employees will now stay at the current office located in West End. A plan to move the approximately 800 employees to the new headquarters had been announced in March 2016. Wiese’s investment vehicle, Brait SE, took a hit of approximately $1 billion in November last year. Brait SE acquired New Look less than two years ago. According to a spokesperson the lease was transferred after an unsolicited offer was made by a third party who was not named. In last year’s first half comparable sales at New Look fell by 8.6% and in September the chief executive officer of the retailer, Anders Kristiansen, left the company. The challenges that New Look is facing are not unique as high street retailers in the United Kingdom have suffered as a result of rising food prices which have reduced the purchasing power of consumers. Per the British Retail Consortium, non-food sales in the country fell by 4.4% in the fourth quarter. This has resulted in profit warnings from Mothercare Plc and Debenhams Plc this month. House of Fraser is also seeking to reduce the number of retail outlets it operates. In King’s Cross Central Google has signed multiple leases. 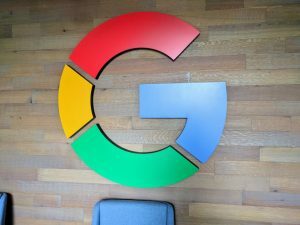 Last year the parent company of the online search giant has also outlined plans to put up its new headquarters in the United Kingdom there. The development comes in the wake of Google and Lenovo launching their first standalone virtual reality device known as Mirage Solo. The Google-Lenovo device possesses positional tracking features without the need for external sensors. It is understood that the release of standalone VR devices will assist in taking virtual reality technology into the mainstream. This is because wires and cables will no longer impact user experiences negatively like has been the case with HTC Vive and Oculus Rift which all require to be linked to a personal computer or a smartphone in order to work. Analysts are predicting that the virtual reality tech sector will be worth approximately $38 billion by the year 2026. The sector has recorded slow growth but this could be helped by lower hardware prices and improved content. Mirage Solo runs on the Daydream VR platform of Google.